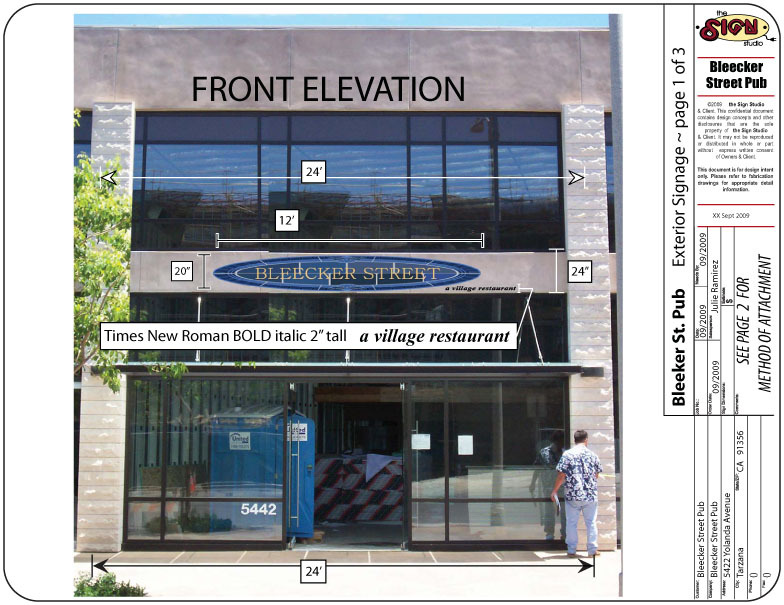 The first step is to prepare elevations of your sign plans along with a method of attachment and site plan. Obtain an application from the City of Burbank and fill it out. Take everything down to the City and start with the Planning Department. Once you have sign-off from all the Departments, you pay for your permit(s) and you are ready for production. Once all the signage has been installed, you must call the number on the Permit and have the City come out and inspect the sign/installation and give you a final sign-off. If you have any questions or would like further information, please give us a call at (818) 843-9200 or send us an e-mail at thesignstudio@sbcglobal.net.